A promotion and two resignations on, Russian sport has hardly turned a new leaf. 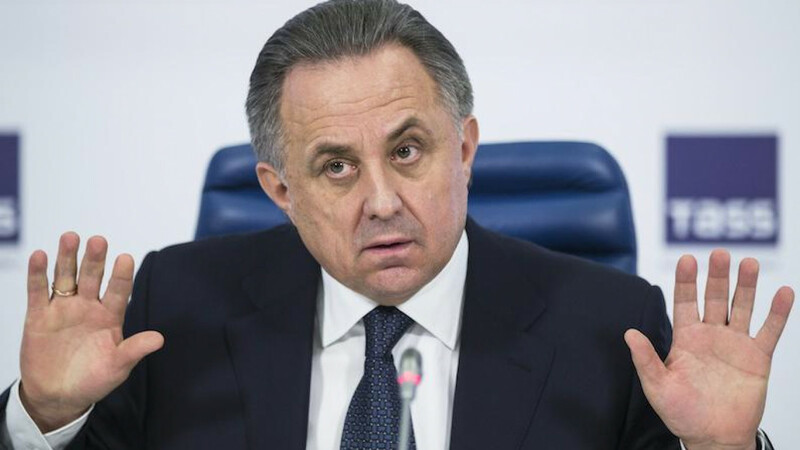 No stranger to scandal, Vitaly Mutko has always said that he would step down as sports minister only at the Kremlin's bidding. And so when he resigned on Oct. 19, President Putin must have decided it was time. A day later, Mutko's deputy Yury Nagornykh was dismissed “at his own request,” according to Russian state media. Meanwhile, Alexander Zhukov, the head of Russia's Olympic Committee, has publicly announced his intention to resign, too. Within a short period, the Russian sports elite appears to have silently undergone the purge that sports and anti-doping authorities have pushed for ever since the World Anti-Doping Agency (WADA) confirmed suspicions of a state-sponsored doping program for Russian athletes in 2015. It means that those named in the WADA reports, including the leadership of Russia’s anti-doping agency RUSADA, the country’s athletics federation and now also the Sports Ministry, have been removed from their posts. The motivation is clear: Russia's failure to convince sports officials that it is committed to changing what WADA claims is a "deeply rooted culture of cheating” has already cost it full participation in the Rio Olympics and led to a complete competition ban for the Paralympic Games. The removal of Mutko, the spider at the center of the doping web if WADA's reports are to be believed, has long been a silent demand if Russia wants to be reinstated ahead of its hosting of the World Cup in 2018 and that same year's Winter Olympics, according to inside sources. But while the recent staff reshuffles may suggest reform, the Kremlin “is giving international sports authorities the middle finger,” says Yevgeny Slyusarenko, the deputy editor-in-chief of sports website Championat.com. Rather than risk appearing weak by caving in to international pressure, Putin has dealt with Mutko on his own terms, adds political analyst Konstantin Kalachyov. “Instead of getting rid of someone, you give him a promotion,” he says. In the newly created position of deputy prime minister for sport, tourism and youth policy, Mutko will likely have more control, not less, over funds and sports infrastructure. That while on his eight-year watch Russian sport suffered some of its biggest scandals, including the doping allegations and an abysmal performance by Russia's football team at the Euro 2016 this summer. Mutko's deputy Nagornykh on the other hand, has been easier to throw under the bus. Nagornykh was suspended after a WADA-commissioned investigation by Richard McLaren in July described him as “critical” to the cheating scheme. That same report said it appeared “inconceivable” that Mutko would not have been aware of the extensive cover-up, involving dirty samples being swapped for clean ones through a hole in the wall of an Olympic lab. Other than Mutko, however, Nagornykh is not widely known and his dismissal on Monday went widely unnoticed, even by sports pundits. “He wasn't interesting to anyone, so they took him down,” says the government source. For lack of real change, Russia's strategy appears to be largely symbolic. Like the head of the International Olympic Committee Thomas Bach, Kolobkov is a former Olympic fencer. “There's a sort of brotherhood among global fencers,” the head of Russia's fencing federation, Alexander Mikhailov, told the TASS agency.